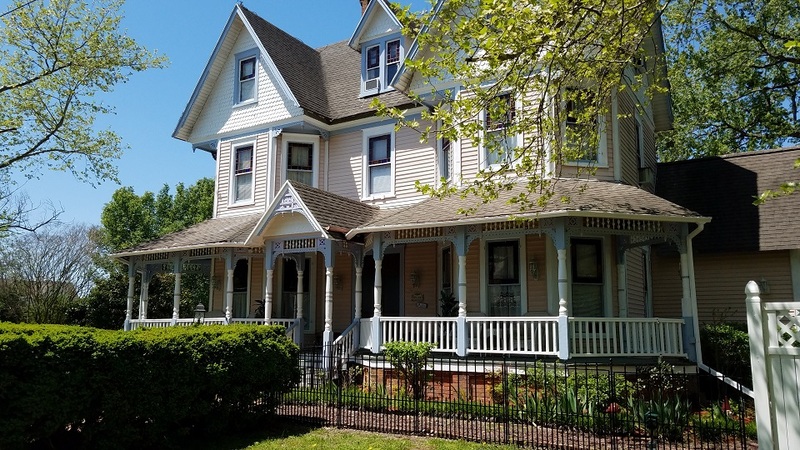 Our Main House was built in 1802 as "The Bloxom Tavern", so hospitality was the name of the game already in the old days. Around 1850 it was converted to a residential home and was in the hands of the Nelson Family for more than 110 years. It is one of the oldest houses in the area. Downstairs is the Chardonnay Room, the Parlor and the Dining Room. Upstairs are our Merlot, Chantilly and Nelson rooms. The fourth floor is our Attic Room. This room may only be booked via phone. Attic Room A cozy room with sloped ceilings on the fourth floor of the Victorian House. 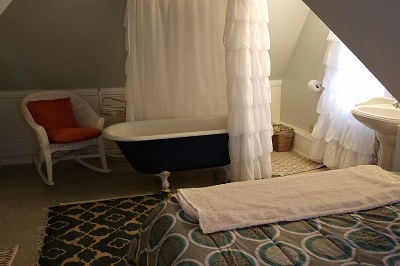 This quaint room has a queen bed with antique claw foot tub/shower. 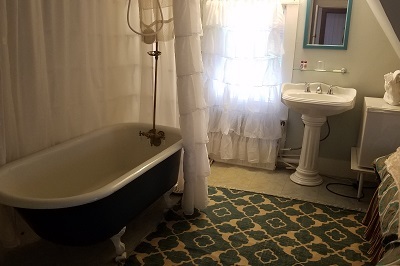 This room will remind you of days playing in Grandma's Attic. TV/DVD. Refrigerator and coffee maker. 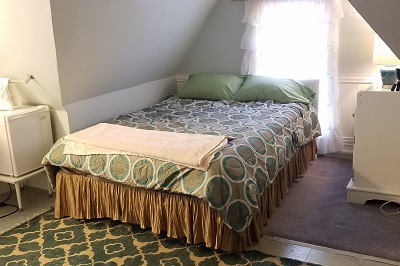 With cozy low ceilings and a small door, this room is not the perfect choice for the tallest of us. 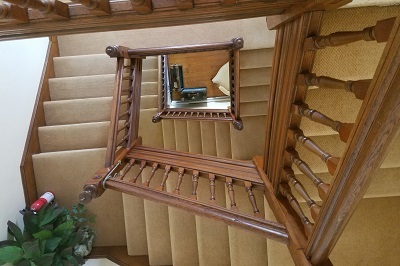 It is on the top floor of the Victorian so be prepared to climb a lot of stairs.